On an average day, I tend to have way more recipe ideas in my head than I do time or oven space. I’m grateful for my own kitchen and my double oven, but that still doesn’t seem to be enough. 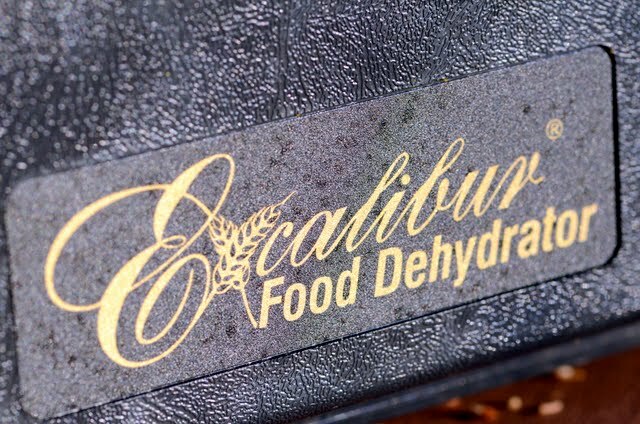 Enter my brand-spanking new Excalibur dehydrator, recently given to me by a wonderful friend. Hello, pretty thing, you are big and bulky but oh so useful. She’s even got a power and temperature control. 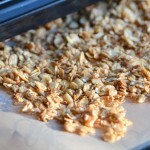 Dehydrators are the raw foodist’s version of an oven. The appliances gently blow warm air over food, causing it to lose its own moisture and dry out. This process can take anywhere from hours to days, depending on what you’re making. 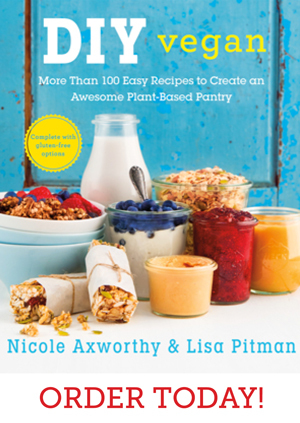 This may seem like too long of a process to be worthwhile, yet dehydrating enables you to attain a wider variety of ways you can make food in raw form. From crackers and breads, to pizza, granola and dried fruit, it creates endless possibilities with flavours, textures and storage options. A whole new world opens up when you start making things and experimenting. This practical piece of equipment will allow me to do much more than my previous round dehydrator, and I can’t wait to get started. 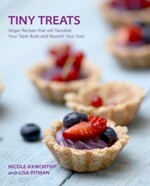 Over the next few weeks, I’m going to share a few of my favourite dehydrator recipes and uses for vegetarians, vegans and, of course, raw foodists, too. Whether you’re looking for some tasty snacks, to experiment with raw food cuisine or to just preserve some fruit, there’s so much you can do with a dehydrator at home. While we’re on the subject of food (because that’s what this blog is all about, really), I’d like to draw your attention to a story I wrote for a website that is appropriately named Stop Chasing Skinny. I haven’t written much about my personal history here on ADC—because I’d much rather focus on things that make me happy—but when JL contacted me recently to ask if I’d be interested in sharing my story, I thought it was a good opportunity to write about a part of my life I don’t talk about much anymore, even though it was a huge part of my life at one time. Anyway, if you’re interested, you can read it here. 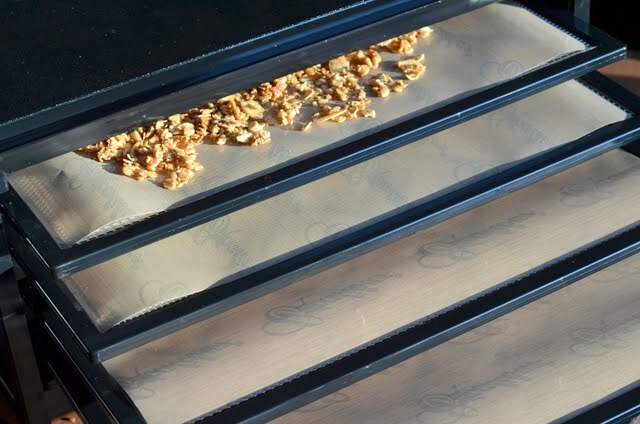 Without further ado, here’s one of my favourite dehydrator snacks—granola. It’s just a matter of mixing a few ingredients together, spreading it out on a dehydrator tray and letting the dehydrator do its magic! 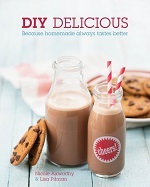 In a large bowl, combine the oats, sunflower seeds, coconut, sesame seeds, buckwheat groats, cinnamon, nutmeg and salt. Add the maple syrup, coconut oil and vanilla and stir to cover all the dry ingredients. 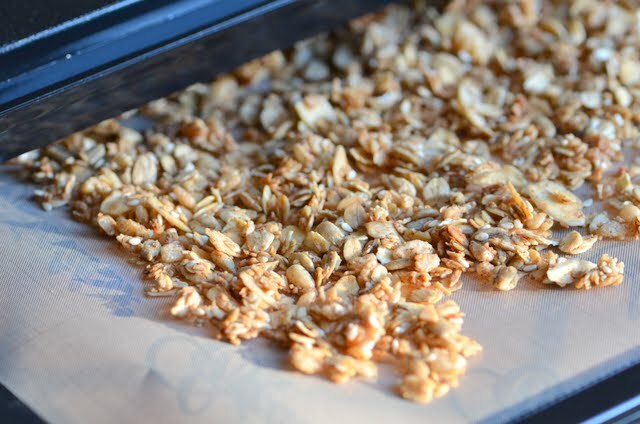 Spread the mixture out on a teflex sheet on a dehydrator tray and dehydrate at 110F for about 4 hours or until desired crunch is achieved. Store in an airtight container in the fridge or freezer to preserve freshness. 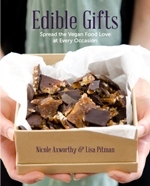 Chocolate crispy fruit squares from The Vegiterranean Diet + a giveaway! I am so jealous of your dehydrator! It looks so fancy; mine is a simple one I inherited from my grandmother that has one temperature/setting and a really awkward hole in the middle that makes it difficult to make – well, almost anything! Thanks for sharing your story on Stop Chasing Skinny. Geanna: Your dehydrator sounds a lot like my previous one (also a hand-me-down)! I've wanted a dehydrator for ages. I just can't seem to justify it because I'm not (and never will be) a raw vegan. Would def be handy in the summer though! Oh my gosh, I love this! I got an Excalibur for mother's day, and we're a nut-free house (youngest has life-threatening allergies). I'm always looking for a good snack to make her! yay for dehydrator we love that brand but the 9 tray one! 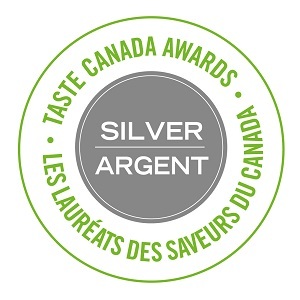 we love it and know you will too!! Nice excalibur, but even nicer, your story. Sarah: Understandable, but they're certainly great for summertime and easy snack options.JL: Oh, dehydrating jalapenos? I'm intrigued. Thank you for your kind words, and for giving me the little push I needed to write it all down.Crissie: I'm glad this recipe works for you and your family. It's one of my favourite snacks.Pure2Raw twins: I DO love it, thank you :)Lisa: The Holy Grail indeed :)Vakker Pike: Thank you for reading! I just got a new Excalibur too! I'm really excited about experimenting with raw breads, dehydrated backpacking food, and dehydrated snacks. Lucky you! 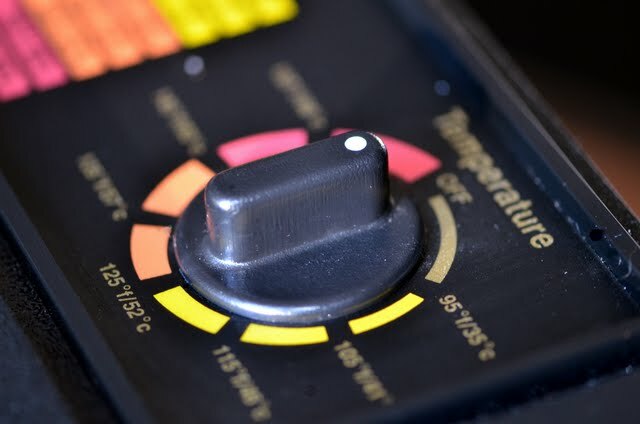 I am dying to get this dehydrator! so, the oats or sunflower seeds don’t need to be soaked prior? If you’d like, you can soak and sprout the sunflower seeds and buckwheat, but it’s not necessary.